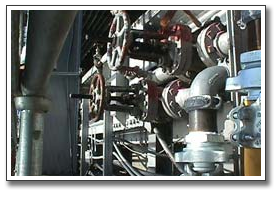 Power plants, waste water and water treatment plants, office buildings, medical facilities, and factories all have complex high- and low-pressure piping systems that require highly trained technicians called pipefitters to install and repair. As a UA pipefitter, you become part of an elite workforce - a workforce that promises to be the safest, most productive and highly trained in the industry. And, we can back up those promises with proof!